The new collection "is a reverie amidst the desert dunes and skies of the Middle East: an enchanting visual story about the grace and beauty of the marvelous women of Arabia," Dolce & Gabbana wrote on its Instagram page. 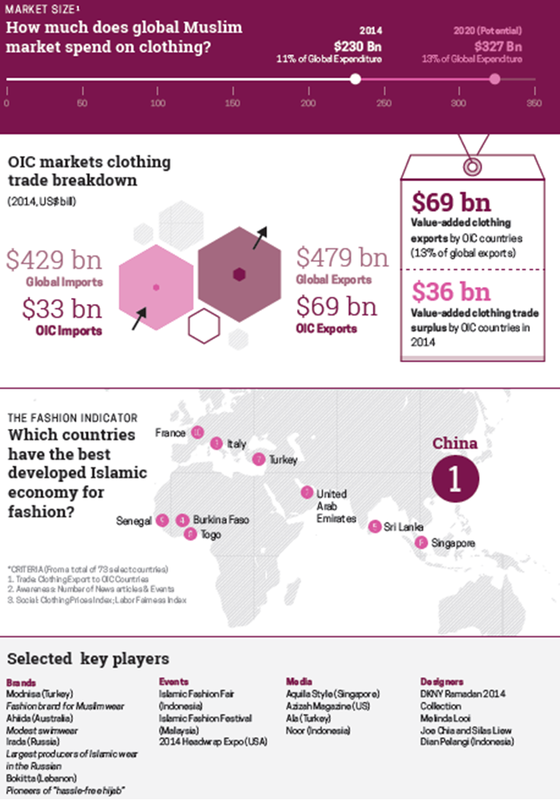 It's an increasingly smart business move, as Muslim customers spent $230 billion globally on clothing in 2014, and it's predicted that figure will rise to $327 billion in 2020, according to a report from Dinar Standard, a market research firm. "Just to see a model in full hijab and an abaya is remarkable," she said. "It's something I truly never thought I would see." "This market is so nuanced and deeply rooted in faith that if you get one thing wrong in an ad or with the imagery, you can completely miss the mark," Elturk said, pointing out that part of a model's leg is visible in one of the Dolce & Gabbana images, which defeats the purpose of wearing the abaya.